After presenting in Tel Aviv at the Alchemist Money Summit and in Sydney and Melbourne at the Wholesale Investor Forum, the Tatau.io team is on the road again. Co-Founders Greg, Martyn and Andrew are proud to be representing Tatau.io at the Japan Blockchain Conference 2018, taking place on June 26–27 in Tokyo. “The Tatau.io team is extremely excited to be joining the world’s blockchain community at the Japan Blockchain Conference. We are building on our success at Beyond Blocks in Tokyo in April of this year, and continue to make Japan our ‘home away from home’ for supporters, partners and investors,” said Andrew Fraser, Co-Founder of Tatau.io. “This is a great opportunity to share Tatau.io’s vision of democratising and commoditising computing, by building a blockchain-based distributed platform to link the world’s suppliers and customers of GPU computing,” adds Fraser. The Japan Blockchain Conference is one of the largest blockchain conferences globally, with over 10,000 participants from around the world. Japan itself is at the heart of blockchain development and rollout globally, and is home to Satoshi Nakamoto, the author behind the bitcoin white paper. 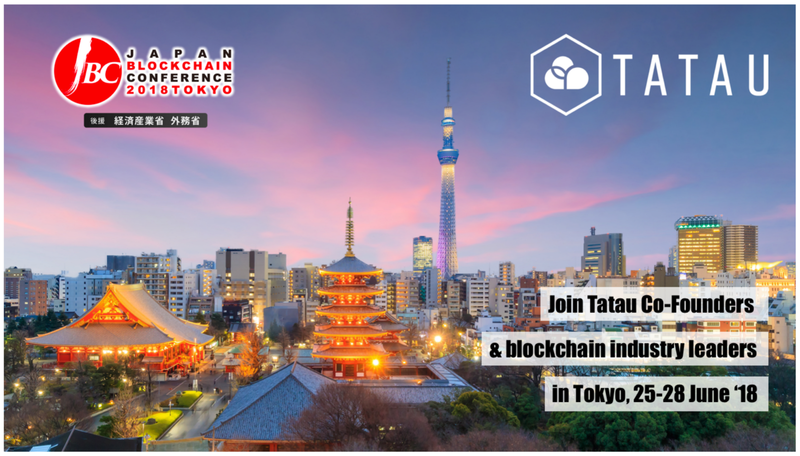 The Tatau.io team will be in Tokyo for the two-day event, to meet the blockchain community in Japan, as well as our supporters so far. Keen to catch up? We’d love to meet up at the event, and will also be available for meetings this Thursday, 28 June 2018. Tweet us at @tatau_io, or join our Telegram group — we’ll provide updates from our trip, and be contactable for catch-ups!